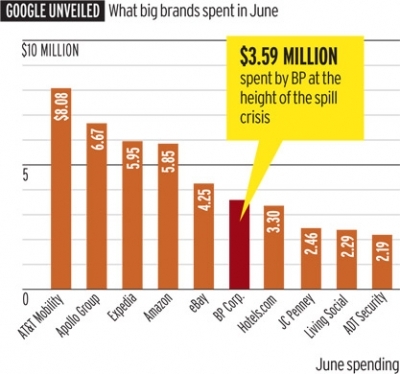 Apple spending almost a million dollars per month on Google ads? An interesting note on the Google ads leak this weekend. Apple is spending nearly a million dollars per month on its rival’s (phoneOS+) advertising platform to promote its products. Not nearly as much as others but still a significant amount. AT&T Mobility, for instance, spent over $8 million. One thing Apple can tell its prospective ad clients (including AT&T): Their ad spending probably won’t be leaked to the press.